A high performance, high-sparkle kit with loose color, liquid adhesive and a brush for the ultimate glitz! This set is designed to give a clean, controlled loose color application. The "Clearly Liquid" base adheres glitter to any skin surface, adding all-day shine that stays where you want it. This product is vegan, hypoallergenic, and cruelty-free. Remove with warm water and face cloth or makeup pads. The adhesive does not lift base makeup, it acts as a protective barrier keeping your makeup from fading, creasing or losing color. This glitter base works as the perfect cosmetic enhancer to all other brands and products: lipstick/glosses, shadows, eye/brow liners, blush, mascara, nail polish, hair and body lotions. Remember to have fun blending multiple colors and play with different shades of eyeliners/shadows to create cool effects. After product has dried, tightness may occur but don’t panic! Your skin surface will loosen up within 20 blinks - and now you're Lit baby! Clearly Liquid Glitter Base: Water, PVP, Hydrolyzed Soy Protein, Butylene Glycol, Polysorbate 20, DMDM Hydantoin, PEG/PPG-18/18 Dimethicone, Panthenol, Glycerin, Fragrance. Elizabeth R. Reviewed by Elizabeth R.
Nicole W. Reviewed by Nicole W.
TAMETRESE B. Reviewed by TAMETRESE B. 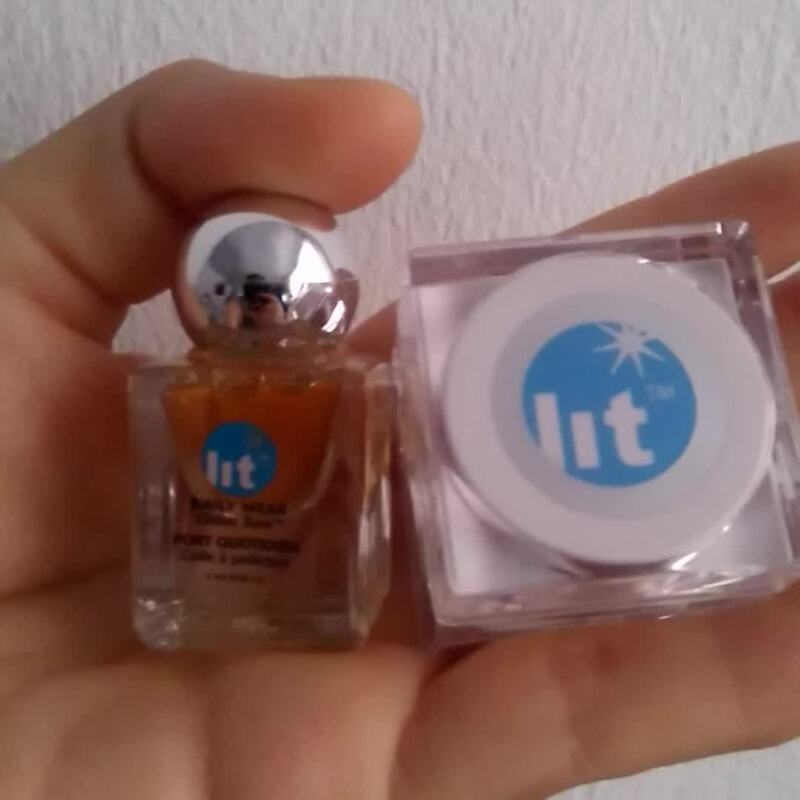 First time using Lit, came from Too Faced glitter so wanted to try the smaller size bottle before I put a lot of money into it. Couldn't have been happier with it and so ready to pick up all the colors!! !